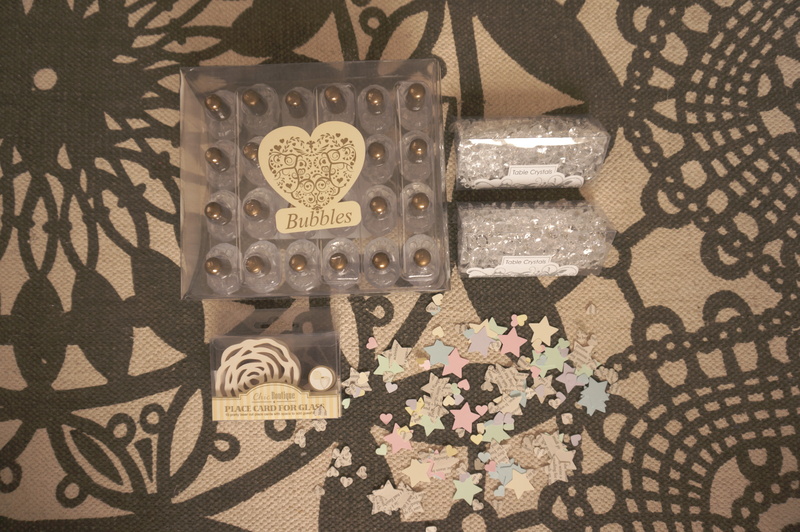 The lovely people at Neviti have kindly sent me some acessories for my wedding – I have clear ‘diamonds’ to sprinkle on the guest tables as decorations, laser cut flowers for place names (these sit on the edge of the wine glasses) and a massive pack of bubbles. I thought the bubbles would be great to give to guests instead of throwing confetti! 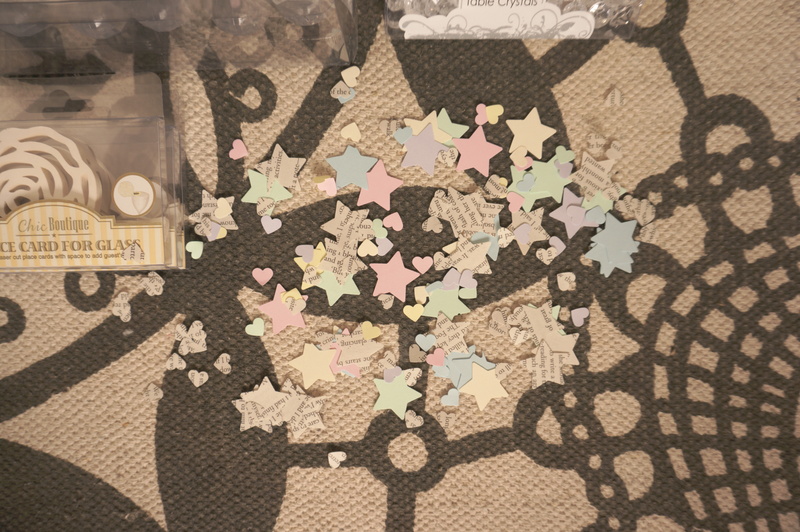 Also, instead of paying what seems like a lot of money for paper table confetti, I bought some star and heart stampers from Hobbycraft and some pastel coloured card and my mum has been stamping shapes which I’ll use to decorte the tables with along with the diamonds. As my flowers are made of old book pages (check them out here) I thought it ould be nice to have some book page stars and hearts too, I think they look great! I’ll have a massive blog post done after the wedding, with loads of photos and updates on everything. I’ll be gone now until the beginning of next week at the earliest… wish me luck!! I’ll see you on the other side!!! Next Post My Amazing Wedding Day! I hope you have the most perfect day and the rain holds off, even if the rain doesn’t hold off don’t stress about it, it rained all day on my Wedding day and it didn’t matter at all.